Even though he’s spent much of his life and livelihood globe-hopping, Tom Cavanagh is still the quintessential Ottawa boy next door. He charmed us on shows like Scrubs, Providence, and as the star of Ed. 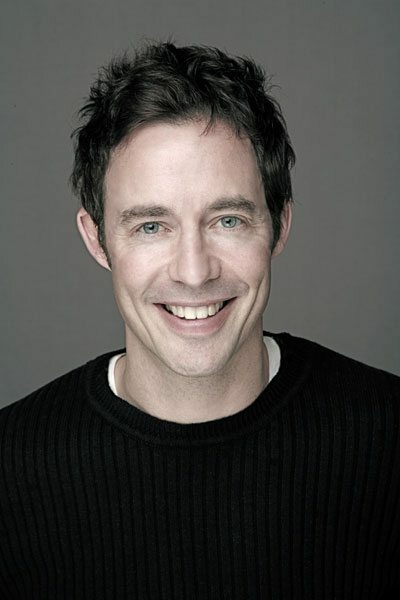 Now he’s playing against type as the villainous scientist Dr. Harrison Wells on the hit show The Flash. Though he splits his time between work in Vancouver and home in New York City, Tom still gets back to the Nation’s Capital as often as possible. Di Golding caught up with Tom about his leap into the superhero genre, and the benefit of embracing and overcoming stereotypes. He even shares some advice for the Ottawa marathoners. Di Golding: You’re an Ottawa-native but you moved around a lot didn’t you? Tom Cavanagh: I was born in Ottawa and spent the first few years of my life in a house on Willard Street. We moved to British Columbia, and then from there we moved to Africa. So there’s a few classic Canadian memories of a rink in the backyard in Ottawa, and then the snow of Trail B.C., and then off we went to Africa. DG: How did you make it from Canada to Africa? TC: My dad was teaching in the interior of B.C. and he answered an ad and the next thing you know, the family was over in Africa. He has spent a significant part of his career teaching people in Third World countries how to teach their own. So in this case he went to a coastal fishing village called Winneba in Ghana that had a teacher training center. DG: Was there quite a bit of culture shock for you when you got there? TC: No, it’s a funny thing, there was not, because if you’re lucky enough to come from a loving family, as we were, then wherever your parents are is home. As a child at that age you adapt so incredibly quickly, and the native guys are coming by and we’re hanging out and playing and they were showing me the ropes. Twenty guys would just show up at the door and it was the most natural thing, we’d just run off exploring together. And that’s how kids are. I think coming back to Canada was a little more of an adjustment period. Even just how the kids talked. They had these colloquialisms that I’d never heard, they played these sports which we’d never played. In Africa, we spent a lot of time just running around and climbing trees and hunting and all that kind of stuff. Over here, for a ten or eleven-year-old, discovering organized sports was just incredible. I became absolutely obsessed. That’s all I did, literally, to the point where I was eating meals with the skates on. DG: The athletic genes run in your family. Your dad was an early marathoner here in Ottawa was he not? TC: They called them ‘joggers’ back then. Now marathon training is so sophisticated. Back then he sort of just went out and ran. It was quite an accomplishment. I’ll never forget, when he did the first one we were all wondering, will he be able to complete it? Nowadays when people are training for a marathon we just assume that they’ll do it. And my dad did, and I remember we all kind of lost our minds. It was around the time when marathons were starting to become popular, so as he was doing it, the cusp was ascendant. There were a couple of guys like Bill Rogers, who were actually making it popular, and he was sort of part of that ongoing surge. My dad did tons of them. Watching that discipline up close was definitely beneficial. DG: Living in New York, had you always wanted to run the NYC marathon? TC: The NYC marathon for me was incredible because it’s a bit of a valentine to New York . You run through every borough. If you can run, it’s a great way to see New York. You see New Yorkers at their finest, coming out and rooting for you. The amount of support is thrilling. There’s bands playing, you see all the sights, and you finish strong in Central Park. For the first sixteen miles I didn’t even know I was running, because I was just looking at everything. It’s an assault on the senses in the best possible way. DG: Do you have any advice for people running the Ottawa marathon? TC: I got great advice from friends of mine who are marathoners. They told me a marathon is a five mile race; miles eighteen to twenty-three. You’ve already done your big, long training, and you can do eighteen. Once you get to twenty-three, you’re not going to stop no matter what. You’re gonna crawl across the finish line. So basically a marathon is a five mile race; miles eighteen to twenty-three. It makes it sound really easy when you say it like that; a twenty-six point two is really just a five mile race. But there is truth to it. DG: How often do you get back to Ottawa? TC: Fairly frequently. I have a sister, another sister, and my brother all in the area. There’s five children and almost everybody has an extended family, so when we have to get together it’s a bit of a challenge so we tend to zero in on Ottawa. I just like to go visit. One of my sisters has a cottage an hour and a half north of Ottawa and it’s a stunningly beautiful area in the summer. Just like Ottawa in the winter is a complete draw. DG: Do you run when you’re in Ottawa? TC: I love running in Ottawa. I have a couple of different Canal runs that I do and I just love it. For us in New York City, Central Park is such a great go-to. I find that for Ottawa, the equivalent of Central Park is the Canal run. It’s such a beautiful run. Most cities don’t have anything like it. It’s just amazing. DG: You graduated from Queens after getting degrees in Education, English, and Biology. How did you make the switch into acting? TC: It’s funny, on our first day, the guy who was giving the address to the incoming education class said, “Look to your left, look to your right. One of the three of you will not become a teacher”, and I was like, that’s me. I don’t think I ever planned to have careers in those fields, but I learned a lot doing that while I was doing plays and musicals. I was able to have both feet in the performing arts without having to study it. Studying it can be tricky especially to a young person because sometimes I think you’re being shown the gospel, where there are many ways to get to an acting performance. Getting out there and actually doing it while studying other things was good for me. Might not be good for other people but it was good for me. DG: Was it your goal to do Broadway? TC: You end up doing theatre because you love doing theatre. One of my favourite theatres I’ve ever been in or acted in is the Grand Theatre in Kingston, Ontario, which is the local equity house theatre. I just fell in love with that place, so if I could manage to replicate that experience doing theatre it didn’t matter to me at all where it was. I was in Toronto doing plays and that lead to theatre, and that lead to the Broadway experience. I did this play Urinetown which was a fringe play, graduated to Off-Broadway and the next thing you know – albeit quite unlikely – this thing is on Broadway winning Tony awards. It just goes to show that you can never really predict. DG: Now you’re in The Flash. In your wildest dreams did you ever think you’d be part of the superhero culture? TC: My approach has always been to proceed from gratitude for the roles that come to me. I don’t think anyone back when I started could have known there was going be a resurgent superhero craze that would dominate at the box office. Part of that popularity is married to the advances in technology in the last decade. The graphic novel/superhero genre used to be, even five years ago, largely the domain of the big screen and yet nowadays you could actually have an effects house that could do it for a television budget and do it well. 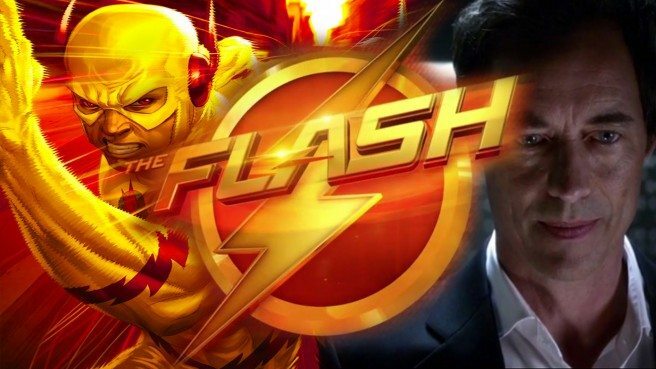 The Flash is the perfect example of a show that, even a year or so ago might have been extremely difficult to do because you cannot do The Flash without speed effects. You can’t ask the audience to suspend disbelief while you pretend to go fast. Now you can actually do an effects-heavy show, like this, on a television budget and do it well. It’s fun to be a part of it. It’s a world with Comicon that people take extremely seriously. The people that know this world so well have been extremely generous and good to us on The Flash so it has been a really gratifying experience so far. DG: You play Dr. Harrison Wells. Was it intimidating to take on such an iconic character? TC: It wasn’t intimidating for me and it wasn’t for Grant (Gustin) either. I’m playing the man in the yellow suit and he’s playing the man in the red suit, so we knew going in that Flash and his arch enemy were going to be scrutinized. I go in and I do it as best as I can. I never go in trying to think about what expectations might be, or to satisfy a public need. It’s just a story that you’re trying to tell. Honestly, there’s a certain element of the Canadian culture that has been extremely beneficial to me where we’re not a culture that wants to brag and pat ourselves on the back and draw attention to ourselves. As a young actor I never expected that anyone was going to see anything I did anyway. Now that I am involved in this show that gets a lot of attention from people who are extremely familiar it helps me because I don’t ever think about the audience or what they’ll think about this move or that move, or this choice or that choice and I just go ahead and do it. We have Geoff Johns writing, he’s sort of the overlord of the DC 52 editions, and is one of the tripartite head of our show. We’re in such good hands and I think the core group of fans know who he is and kind of consider him a rock star. They know that we’re being shepherded well. DG: I was a bartender in the 90s. Do you already know where I’m going with this? DG: When those Blue Light commercials came out, your line, “If I wanted water I’d ask for it” became the bartender’s catchphrase. How many people stopped you on the street and yelled that line at you? TC: I had such a fun time doing those commercials. We didn’t know they were going to be so popular. If I went to a ballgame people would be yelling it at me, but people were proud of it. There’s a certain parochial stance to the American mindset, and this is something we are clearly superior at. “Our beer’s got more booze in it!” It was great to watch people rally around that thing. You go into these things thinking it’s just a commercial. You don’t think it would become this popular, but it had two things; it had that sense of Canadiana and pride, but it had this other genius stroke which was a guy and his dog. I was never unclear about the popularity of the dog. We had some pretty witty set ups, but the dog was the star of the show. He was the best straight man a guy could have. I think people love that idea, a dude having a beer with his dog. What’s better than that? DG: One of my favourite films of yours is Breakfast With Scot. You play a closeted gay professional hockey player for the Toronto Maple Leafs. As a Habs fan, was it hard for you to put on that Leafs jersey? TC: I moved to New York City in 1989, and what you end up realizing when you move away from home is that you get a larger perspective on how important hockey is to Canada and how much it matters to us. So what was interesting, despite my best intentions, if the Habs were eliminated I would find myself pulling for the Canadian teams that were left. People who live in Canada who have drawn those battle lines might disagree with this, but it’s good for hockey if the Leafs and the Habs are good. It’s good for hockey when any of the original six make it to the playoffs, and it’s good for Canada when any of the Canadian teams make it to the playoffs. When Calgary had their run in the 2000s I was right there. When Ottawa had their run, I was right there. For a Canadian team to do well, it’s good for Canada. So it was not hard to put the Blue and White on. Proud to do it. DG: Having a gay professional athlete be the main character in a movie in 2007 was pretty ahead of it’s time, wasn’t it? TC: We just assumed when we read the script — even though it was the Leafs in the script — that because these two gay men, with one coming out and their whole world is turned upside down, we just naturally assumed that when we had to shoot it would be called The Toronto Bulldogs or something, and we would end up faking the colours. We never expected that we’d be able to get the NHL to sign on, and to their credit, we got the rights to use the Maple Leafs name and the Maple Leafs jersey. My friend Ben Shenkman, who played my partner in the film, and I were riding to work and the sports talk radio was on and they were all aflutter, with Don Cherry saying, “What are the Leafs doing? They should change the maple leaf to pink.” Other people were saying, “No, kudos to the NHL for standing up and being progressive.” It took a second and we realized, are they talking about our little independent movie that we’re making under the radar? It ended up being written up in Sports Illustrated and the New York Times, and I really have to say, not because of anything we did, but because of the stance the NHL took. It was really forward-thinking of them and got the word out further than we could have done it just by making the movie. DG: How cool was it to get to play an NHL hockey player? TC: It was awesome. It was incredible, it really was. DG: When you shot the scenes on the ice were any of the other hockey players actors? TC: No, most of the guys were from a Junior B team, and they were great athletes but they weren’t actors. At one point my character has to score a goal. We have a camera behind the net, another filming it, and I have to come down the wing, cut to the center, take out the defenseman with one move and come down with a forehand, backhand, three-eleven just under the crossbar. I did it the first time and the goalie stops me. Then he stops me again and the stunt guys tells him I’m supposed to score and the goalie says this, verbatim, “Well I’m not just going to let him score”. The director tried to come down and I said, “No I got it.” And then it just became pressure on take three. I’ve got to legitimately try to beat this guy. And I did. I faked right, cut left and I banged it up top and – any hockey player will tell you this is so satisfying – I knocked the goalie’s water bottle off the net when I scored. That’s the take that they used in the movie. And it was a legitimate goal because he did try to stop me. It felt so good. It was probably one of my all-time satisfying on-camera moments.